Posted 12/14/2011 11:43am by Renee Savary. Running out of great gifts ideas for your favorite people ??? Still looking for stocking stuffers ?? Searching for a unique hostess gift ??? or any other colorants/fillers or chemicals. You can order them online and we will ship them all wrapped up. Posted 12/6/2011 8:51pm by Renee Savary. Posted 11/15/2011 11:09am by Renee Savary. Posted 10/4/2011 7:51pm by Renee Savary. Farm Tour at 11am, 1pm and 3pm. Solar cooking is the simplest, safest, and most convenient way to cook food without consuming fuels or heating up the kitchen. Learn all about making and using solar ovens with Carol Gagliardi. Carol will show you how to build your own working solar oven out of cardboard !!! We will have solar ovens cooking food on display. Join Chandra Hartman of Moolight Micro-Farm to learn to grow your own nutritious sprouts and microgreens from seeds. Growing your own greens is a rewarding adventure that can be accomplished in a limited space with minimal resources. Sprouting provides a foundation that can be readily adapted to interests in gardening, food security or nutrition. Sprouting is also a great activity to engage children in growing and learning about the origin of food. as well as sprouting starter kits. Raw Food Chef Jenifer Kuntz, owner of Raw & Juicy Organic Juice Bar will be offering raw food demonstrations on Green Smoothies from the garden, foods not to eat raw, protein sources for vegans, grain preparation and tips on dehydrating and how to open a coconut. Jenifer will have delicious dehydrated items available for sample and for sale. will be there with her line of organic soaps and skin care products. Besides using organic components and essential oils, Celeste use locally produced ingredients from local honey and cream to our own duck eggs in her organic soap. Light lunch, featuring the farm own products, will be available for purchase. Posted 4/15/2011 10:22pm by Renee Savary. Posted 3/30/2011 10:12am by Renee Savary. On behalf of 60 family farmers, seed businesses, and organic agricultural organizations, including the Ohio Ecological Food and Farm Association (OEFFA), the Public Patent Foundation (PUBPAT) filed suit today against Monsanto to challenge the chemical giant's patents on genetically modified seed. The organic plaintiffs were forced to sue preemptively to protect themselves from being accused of patent infringement should they ever become contaminated by Monsanto's genetically modified seed, something Monsanto has done to others in the past. The case, Organic Seed Growers & Trade Association, et al. v. Monsanto, was filed in federal district court in Manhattan and assigned to Judge Naomi Buchwald. Plaintiffs in the suit represent a broad array of family farmers, small businesses, and organizations from within the organic agriculture community who are increasingly threatened by genetically modified seed contamination despite using their best efforts to avoid it. The plaintiff organizations have over 270,000 members, including thousands of certified organic family farmers. In the case, PUBPAT is asking Judge Buchwald to declare that if organic farmers are ever contaminated by Monsanto's genetically modified seed, they need not fear also being accused of patent infringement. One argument justifying this result is that Monsanto's patents on genetically modified seed are invalid because they don't meet the “usefulness” requirement of patent law, according to PUBPAT's Ravicher, plaintiffs' lead attorney in the case. Evidence cited by PUBPAT in its opening filing today proves that genetically modified seed has negative economic and health effects, while the promised benefits of genetically modified seed – increased production and decreased herbicide use – are false. Seeds; Baker Creek Heirloom Seed Co., LLC; Comstock, Ferre & Co., LLC; Seedkeepers, LLC; Siskiyou Seeds; Countryside Organics; Cuatro Puertas; Interlake Forage Seeds Ltd.; Alba Ranch; Wild Plum Farm; Gratitude Gardens; Richard Everett Farm, LLC; Philadelphia Community Farm, Inc; Genesis Farm; Chispas Farms LLC; Kirschenmann Family Farms Inc.; Midheaven Farms; Koskan Farms; California Cloverleaf Farms; North Outback Farm; Taylor Farms, Inc.; Jardin del Alma; Ron Gargasz Organic Farms; Abundant Acres; T & D Willey Farms; Quinella Ranch; Nature's Way Farm Ltd.; Levke and Peter Eggers Farm; Frey Vineyards, Ltd.; Bryce Stephens; Chuck Noble; LaRhea Pepper; Paul Romero; and, Donald Wright Patterson, Jr.
For a copy of the complaint, go to http://www.pubpat.org/assets/files/seed/OSGATA-v-Monsanto-Complaint.pdf. OEFFA was founded in 1979 and is a grassroots coalition of farmers, backyard gardeners, consumers, retailers, educators, researchers, and others who share a desire to build a healthy food system that brings prosperity to family farmers, helps preserve farmland, offers food security for all Ohioans, and creates economic opportunities for our rural communities. 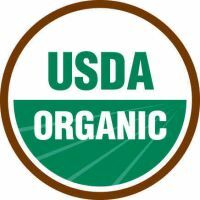 OEFFA also operates one of the oldest and most respected organic certification programs in the nation, certifying more than 650 operations throughout the Midwest. For more information, go to www.oeffa.org. The Public Patent Foundation (PUBPAT) is a not-for-profit legal services organization affiliated with the Benjamin N. Cardozo School of Law. PUBPAT protects freedom in the patent system by representing the public interest against undeserved patents and unsound patent policy. For more information, go to www.pubpat.org. -- Lauren N. KetchamCommunications & Membership Services CoordinatorOhio Ecological Food & Farm Association (OEFFA)41 Croswell RoadColumbus, Ohio 43214Phone: 614-421-2022 Ext. 203Fax: 614-421-2011lauren@oeffa.orgwww.oeffa.org Follow OEFFA on Twitter and Facebook.http://twitter.com/oeffahttp://www.oeffa.org/facebook Earn money for OEFFA every time you shop and search online with the GoodSearch toolbar. http://www.goodsearch.com/toolbar/ohio-ecological-food-and-farm-association-oeffa Support OEFFA through workplace giving with Community Shares. Visit www.communityshares.net. Posted 12/22/2010 9:51am by Renee Savary. Posted 11/28/2010 5:31pm by Renee Savary.